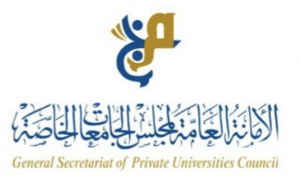 a) The Private Universities Council (PUC) awards a number of scholarships each semester to high school students who have obtained a GPA no less than 78% for Arts major and 70% for science major. Acceptance is based on the differentiation of GPAs, and may be subject to change in accordance with the PUC decisions. 1- For the LLB program: Student should have passed no less than 30 credits with a GPA of at least 2.5 points. 2- For the Diploma program: Student should have passed no less than 15 credits with a GPA of at least 2.5 points. 3- From Diploma to LLB: equivalency of no less than 30 credits, among which the student should have passed at least 15 credits with a GPA of 3 points minimum. 4- the Student should not be employed in the governmental sector. Those conditions are subject to change in accordance with the conditions of the PUC. These conditions were amended as per the PUC decision no. 19201/5-53/.